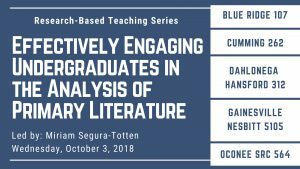 The goals of this workshop is to (1) provide faculty with evidence-based examples of successful methods for classroom literature analysis, (2) discuss the difference between how undergraduates and faculty experts engage with primary literature; and (3) provide evidence-based suggestions for techniques that may enhance student understanding of primary literature. Although the examples and techniques emerged from STEM, these principles apply to all disciplines however they define “primary literature.” Prior to the workshop, faculty participants are encouraged to think about courses where they would like to include the analysis of literature. 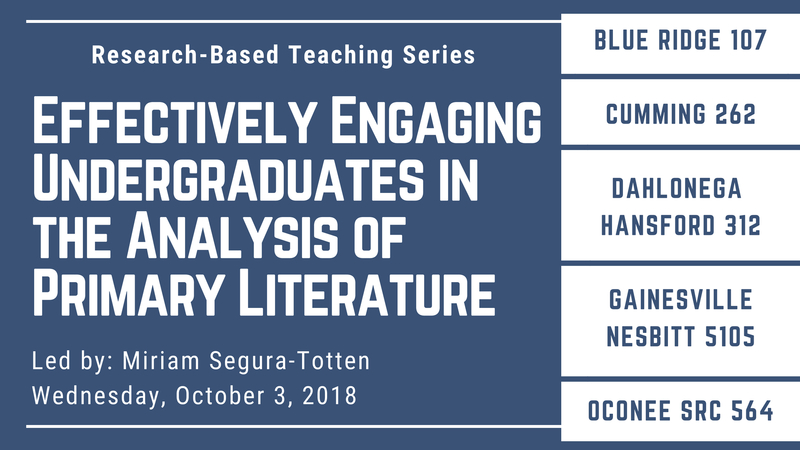 During the workshop, there will be activities geared to facilitate participant brainstorming about how to incorporate the analysis of primary literature into their classes.